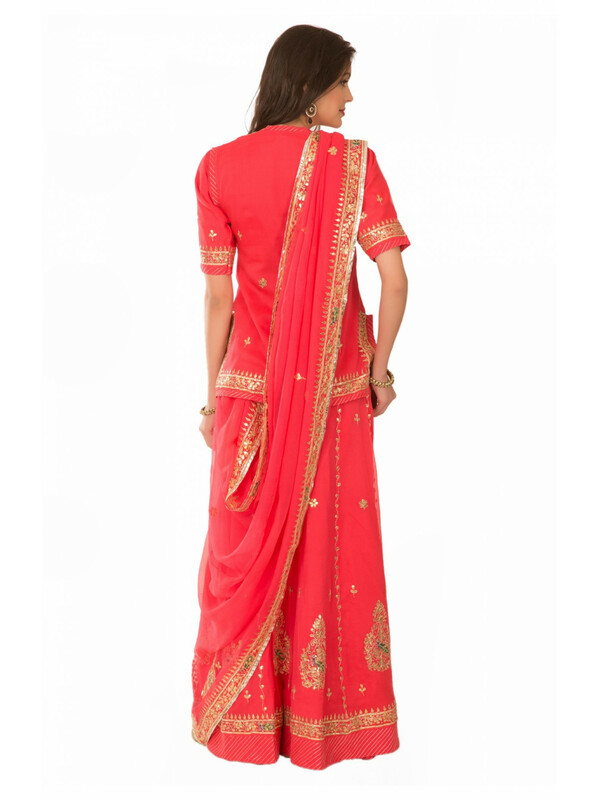 Ranas Red Georgette Gota Patti Kasab Resham Beads Sequence Work Rajputi Poshak Featuring a stunning, but elegant red colored georgette Rajasthani Rajputi Poshak from the prominent Rajputi Poshak boutique- Ranas. Adorned with the immaculate embellishments of Gota Patti Resham beads sequence work, this Rajputi outfit will impart you a flawless splendor. 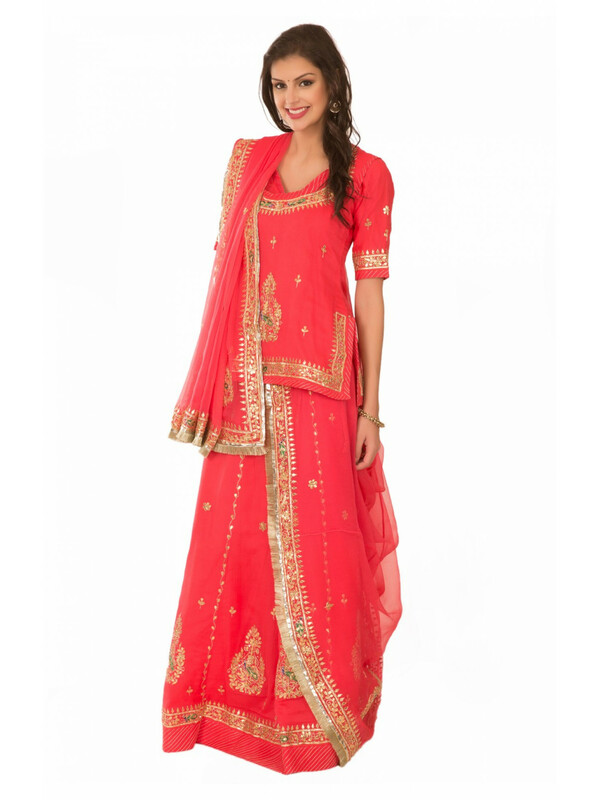 Perfect for any occasion or any social event, the ethnic wear is the first choice of a woman. Ranas is your ultimate destination to buy the stunning designer lehenga sarees and many more. Pair your chosen ensemble with the matching beautiful jewelry and ready to attend any event or concert confidently. Make it your own choice and look chic and modish.